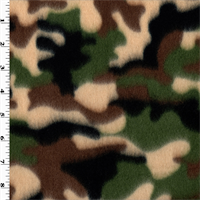 Buy Camo and Camouflage fabric from our online fabric store. 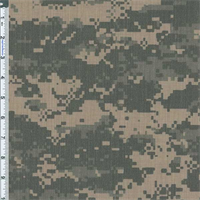 Camouflage fabric for blinds, outerwear, crafts and decorating, including military camouflage fabric and camouflage fabric for quilting Buy Discount Camouflage fabric buy the yard. 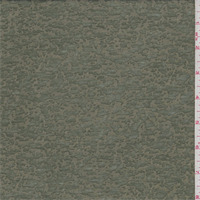 DWR Camouflage Print Rubber Coated Back Fabric By the Yard, Fatigue. 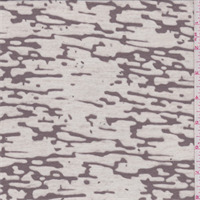 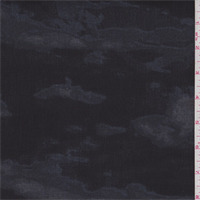 Medium weight printed spun poly outerwear fabric with DWR finish and a rubber coated back. 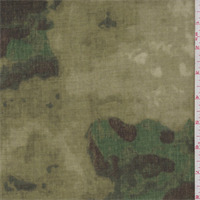 Firm, crisp handfeel, no drape, suitable for outdoor wear. 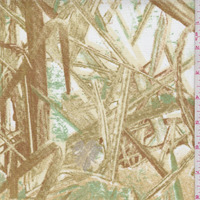 Damp wipe clean.